Searching for an apartment in New York City is a daunting enough without having to decipher regional real estate jargon. 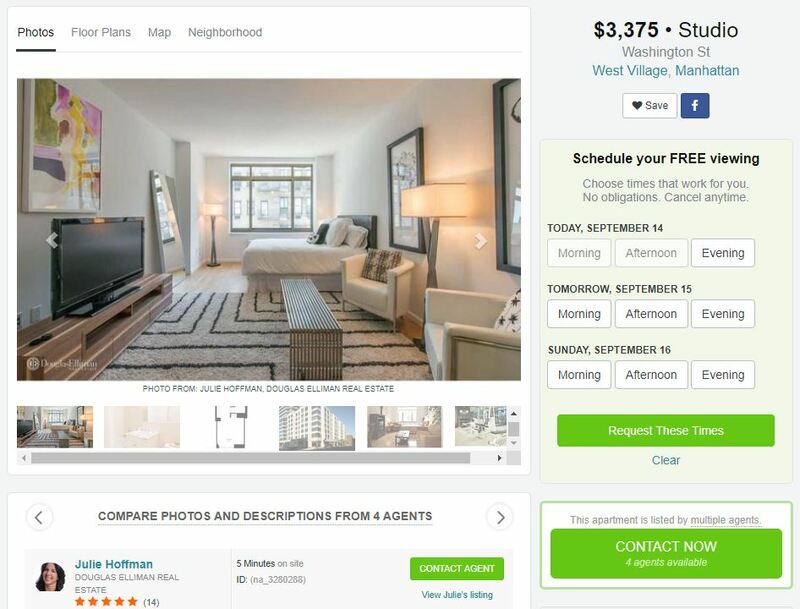 If you’ve been hunting for a new place on Naked Apartments, chances are you’ve seen the term “exclusive listing agreement” on a rental advertisement. Open listings and exclusive listings are terms, which refer to how landlords work with agents to get their listings out to the public. 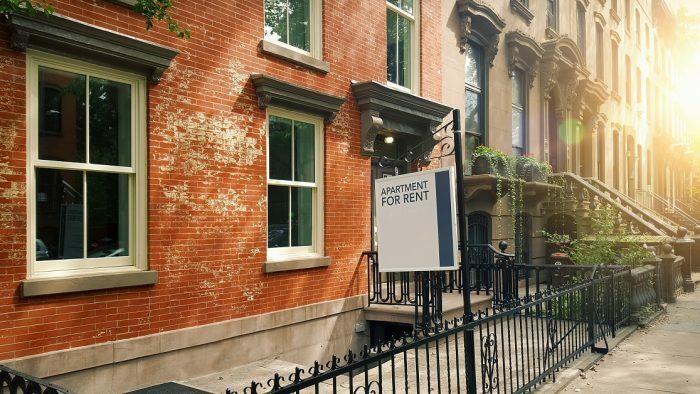 While the terminology might not seem important, especially when you just want to find an apartment in your budget ASAP, it’s important to understand the difference. When a landlord works with one agent or brokerage firm to list the apartment, it is referred to as an exclusive listing. This type of agreement gives that particular agent or brokerage sole permission to represent the apartment. Exclusive listings are a big win for brokers because it guarantees they get to collect a commission once the apartment is rented and no other broker can. 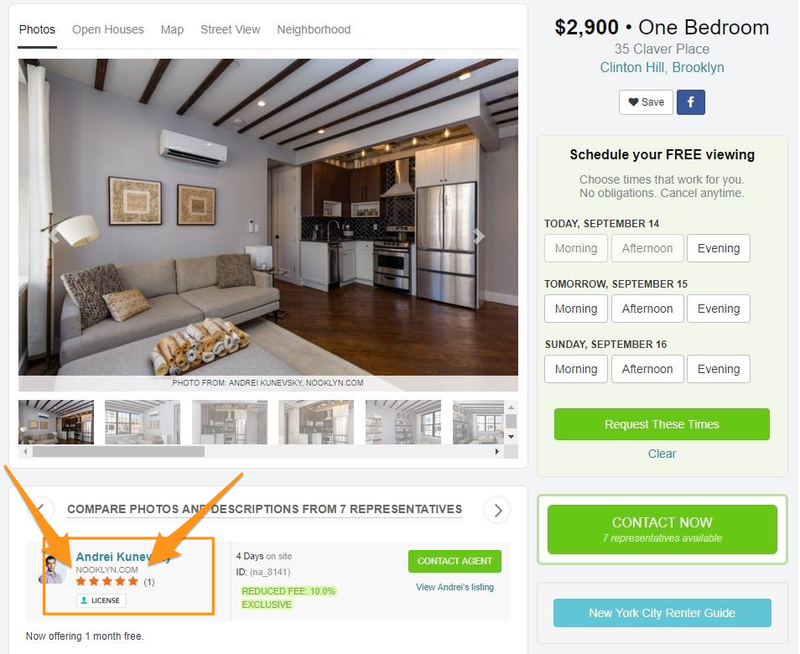 As a tip for apartment shoppers on Naked Apartments, exclusive listings will often show the exact address, whereas open listings will not. In the listing below, Nooklyn has an exclusive agreement to represent the apartment highlighted. While there are multiple agents advertising it, they all work for the same agency. You can also tell it’s an exclusive by the address shown under the price. What Is an Open Listing Agreement? The most common types of listings found on Naked Apartments are not exclusive listings, but rather open listings. Open listings occur when landlords decide not to work with one broker, but instead open the listing up to being marketed by multiple brokers. Advertising an apartment as an open listing allows landlords, in theory, to cast a wider net by working with several agents and hopefully, renting the apartment faster. When a landlord opts to list a unit as an open listing, Naked Apartments does not create individual advertisements for each landlord representing the property. Instead, Naked Apartments will group all of the brokers’ information together on the same rental listing. Users can see all the agents representing the apartment when they click on a single listing, and then can contact the agent of their choice. Why Do Some Listings Not Include an Exact Address? In the open listing above, the address is not shown and the studio is listed by multiple brokers from different agencies. For brokers, open listings are akin to “survival of the fittest” and compete to collect a commission, which could range from 8 to 15 percent of the listings’ annual rent. Theoretically, if a broker were to indicate the apartment’s address on an open listing, a renter could simply go to the apartment itself and connect with the landlord, bypassing the broker all together, and therefore causing him to lose out on his coveted commission fee. Instead of featuring an exact address, the listing will instead display an area map. Naked Apartments works hard to ensure the accuracy of these maps. If you have had problems with the geographical accuracy of Naked Apartments’ listings, please contact us at info@nakedapartments.com.